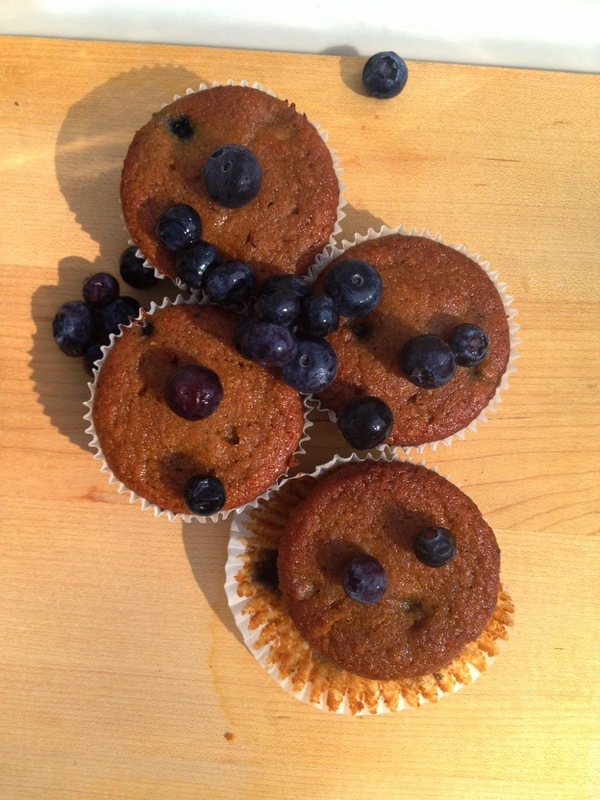 The Wholesome Foodie: Grain Free Blueberry Muffins! Blueberries! Spring is in the air! Sort of.. Today it snowed, but I am hopeful! I've had a bunch of blueberries in my freezer from last year. I hit a great sale at Whole Foods and bought 6 (organic) pints for $1.99 each! They have a one day sale each year, so keep in touch with your local market's Facebook page. I decided to freeze them but it's taken me forever to use them all. They are still delicious as ever! I invented this amazing recipe and it has to be one of the easiest recipes I have ever made. I literally whipped them up in the kitchen aid in 5 minutes and baked for 20! They are made with almond flour and are low on the glycemic index (I used coconut sugar). Please try these out and let me know how they go in the comment section below! 1. Preheat oven to 350° and line a muffin pan with muffin liners. 2. 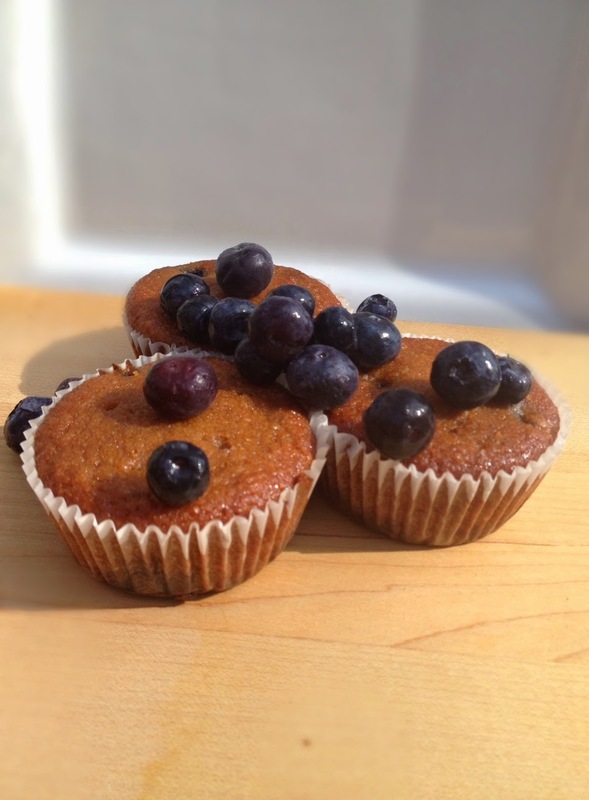 Mix all ingredients(except blueberries) thoroughly with a food processor. 3. When mixture is smooth, gently fold in blueberries. 4. Bake for 15-25 minutes until golden brown. 5. Enjoy with with melted coconut oil and extra coconut sugar on top!